Sony Hindi Entertainment Tv Channel launched many new show this year. Now Sony Tv is planning to launch a new tv serial titled as "Zinda Hoon Mein" . This show is produced under the banner of Rowdy Rascals Productions . This Production company is famous for their real life based tv shows. The show is produced by Anirban Bhattacharya. 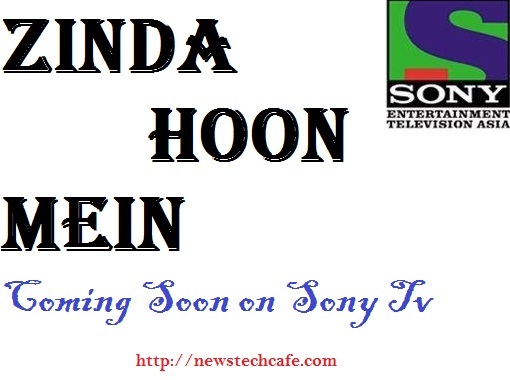 Earlier the show was titled as 'Zinda' but now the name of the serial have been changed by 'Zinda Hoon Mein' . The show is based on real life incidents. Earlier Rowdy Rascals Productions have successfully produced Savdhaan India Tv Series .Latest Show will be airing soon on Sony tv. Sony Tv's Latest show is based on the real life incidents . Here you can see the real stories of those people who faces terrorist attacks and other difficult situation . How they will feel after losing their loved ones . This Tv show try to showcase their challenging life before you.New show showcase the challenging life of those people before us. The makers of the show is busy with casting for the show . But we have a news that Jatin Shah selected for doing an episode of this show. He is playing role of a victim who is Kidnapped by Bangladeshis. Official promo of the show is not yet released by Sony Tv. As soon as we get any promo of this show we will definitely update it here. Show timings is not announced yet. Stay tuned with us for more updates regarding the show.